This is a modern crystal necklace which is a beautiful addition to any outfit whether it be day or evening! There are 2 necklaces which merge into one through little lotus flower connectors, the longest necklace measures approximately 20". 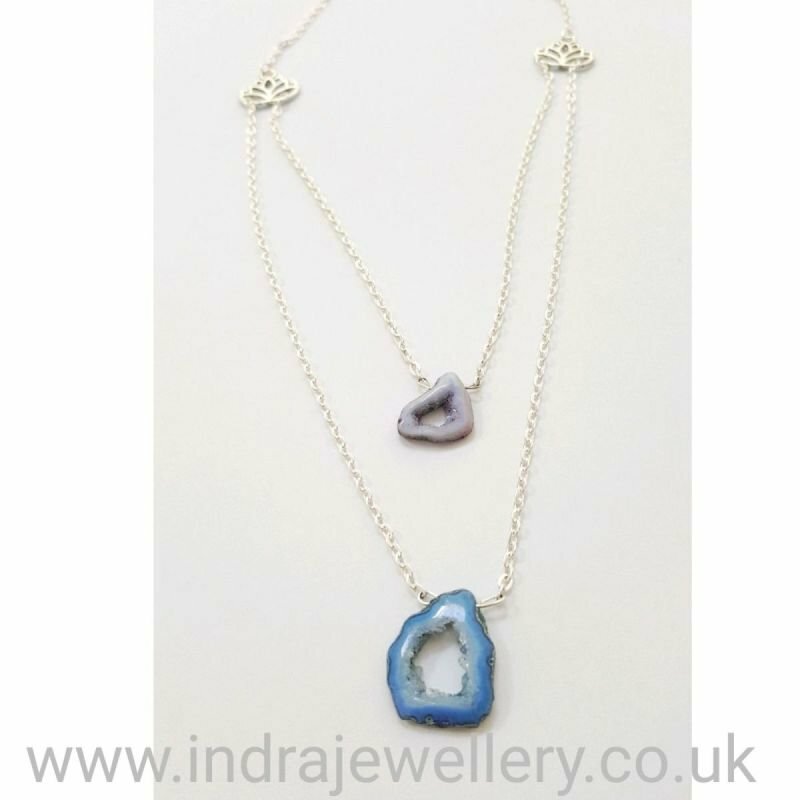 The pendants are natural druzy slices which are 2 tones of blue and compliment each other perfectly. I have tried to capture the beautiful sparkle of the crystals inside the druzys and because of it's unusual shape this necklace definately stands out!